New video meetings in Easy Project. Accessible in just two clicks. Create high-quality audio & HD video conferences via calendar, chat window, on tasks, contacts and CRM cases as well. 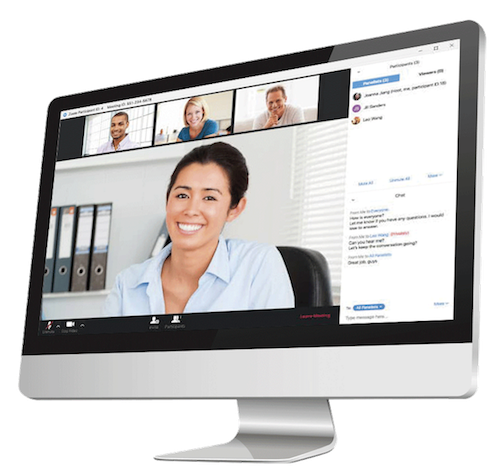 Experience professional video conferencing with no risk – 500 free minutes are waiting for you. Try out our new Zoom integration for easy video and audio conferencing right from the Easy Project user environment. This is pretty useful when you need to talk to your colleagues live with no need to open a separate communicator. Besides Video meetings, you also get access to tools like Gantt, WBS, Task & Resource Management, Time Tracking, Kanban and Earned Value Management - available for personal use and teams.